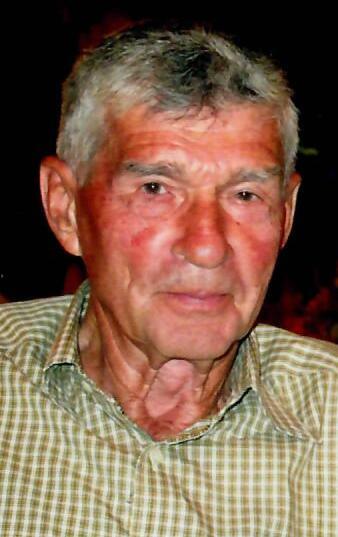 Jearl Effler, 85, of East Graceville Road, Breezewood, PA; passed away on Tuesday, March 26, 2019 at home. He was born on November 6, 1933 in Erwin, Tennessee; a son of the late John Clifford “JC” and Mae (Slagle) Effler. On June 10, 2005, he married the love of his life Shirley Painter. She preceded him in death on February 26, 2018. He is survived by children Jerald L. Effler married to Nancy; Gary L. Effler, Michael Effler and Janet Effler and partner Kristen Anderson; step-children Connie Riley married to Tim and Tim Painter married to Louise; grandchildren Justina Effler married to Nicholas Miguel, Zachary Effler married to Tristan Draper; Miles Effler; Jacqueline Russo married to Dominic; step-grandchildren Coty and Corey Riley and Brendon, Brad and Kyler Painter; great grandchildren Theodore and Cecily Miquel, Landon Effler; one step great granddaughter Charlee; siblings Eula (Effler) Pickering, David Effler married to Nancy; sisters-in-law Melba Effler, Kay Smith, Mary Lutz married to Ronald; brother-in-law William Swartzwelder married to Cheryl; many nieces and nephews and his faithful companion “Killer” the cat. He was preceded in death by his parents, wife, brother Louis Effler and brother-in-law Jack Pickering. Jearl retired in 2000, after thirty-three years as a truck driver for Cassens Transport. He enjoyed watching Nascar, going to Cathy’s Store and Fischer’s Garage to visit with the locals. He also enjoyed taking annual trips to Tennessee with his son Gerald to visit relatives. Spending time with Tim and Connie and riding in the tri-axle with Tim was a favorite past time. He enjoyed mowing, gardening and was especially proud of his tomatoes. Jearl attended Mt. Zion Lutheran Church, Breezewood. He was a very caring and loving father, grandfather and step-father. He will be greatly missed by all who had the privilege of knowing him. Friends and Family may call at the Mt. Zion Lutheran Church on Saturday, March 30, 2019 from 11:00 AM. until the hour of service. Funeral Service will be held at 1:00 P.M. at the Mt. Zion Lutheran Church, 16651 Lincoln Highway, Breezewood, PA with Rev. Judith Simonson officiating. Burial will be held at Mt. Zion Lutheran Cemetery.